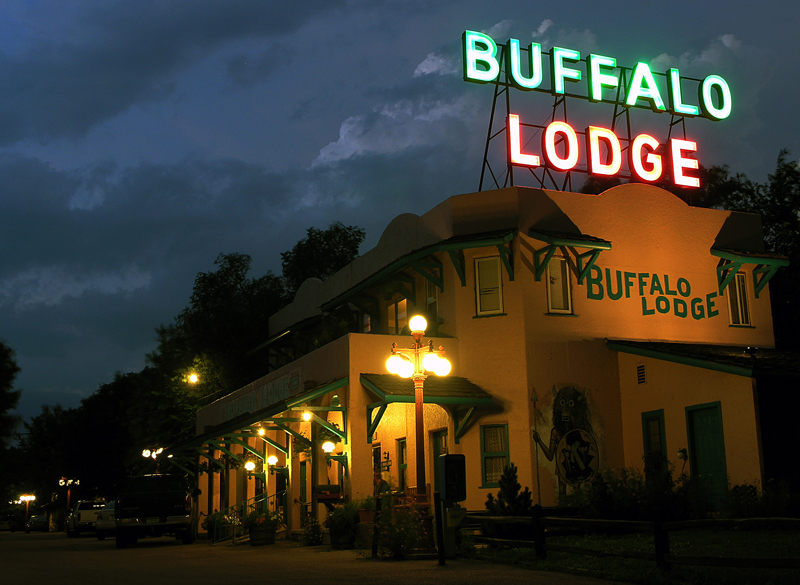 The hotel, built in 1931, has been renamed the Buffalo Lodge Bicycle Resort. Courtesy of Buffalo Lodge. A Colorado Springs resort is touting what it hopes will be the warm-weather equivalent to “ski in, ski out” accommodations: A hotel where cycling tourists can pedal into and out of their rooms. Torie Giffin. Courtesy of Buffalo Lodge. Giffin plans to invest $100,000 in the hotel this year to remodel some rooms and add touches like bike racks, a bike-washing station and a mechanics’ stand in hopes of rebranding the hotel as a stopping point for cycling enthusiasts visiting Colorado. Guests can roll out of bed and right into Garden of the Gods (a quarter–mile ride away) and then roll back in at day’s end, she said. Giffin has redubbed the four-acre, 1931 hotel the Buffalo Lodge Bicycle Resort. Giffin has been pumping her pedals as fast as she can to get the bicycle resort into gear since the sale closed last month. She’s hired eight full-time employees and put them to work cleaning, repairing the A/C and WiFi and switching to an online booking system instead of the paper and pen system she inherited from the previous owners. But that’s a warm-up. Giffin is also launching a $105,000 crowd funding campaign to remodel five rooms (complete with bike racks, new floors, bedding and fresh paint) and to build a bar and patio by the end of this year, among other improvements. The Buffalo Lodge has also received an SBA loan. To raise more money for the building purchase and renovations, Giffin said she also passed the hat to friends and family, many of them local bicycle enthusiasts. She is also selling room sponsorships for $15,000 each. Giffin, who previously taught spinning classes at a local YMCA and led community relations for local Chick-fil-A restaurants, wants the hotel to make it easier for outsiders to find biking resources. 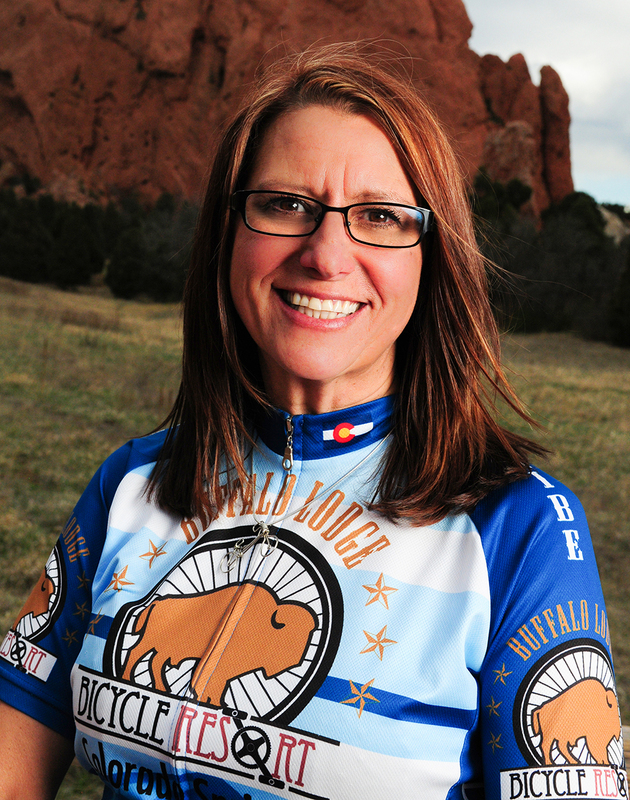 She refers guests to local shop Criterium Bicycles, an investor in the lodge, for rentals and recommends local bike tour groups based on guests’ interests. On Fridays, guests will be able to join her for a morning spin through Garden of the Gods. And on Saturdays, her three children plan to lead kid visitors to a nearby candy shop. The resort is scheduled to host the ROLL Bike Art Festival in August. Eventually Giffin wants to renovate every room in the hotel, build a stage for concerts and events and fix up the pool.